This has not been the start to the Eagles' season that anyone has expected. "Need more from: CB Jalen Mills. The Eagles cornerback has allowed a league-high 541 yards in coverage as the nearest defender, according to NFL Next Gen Stats. 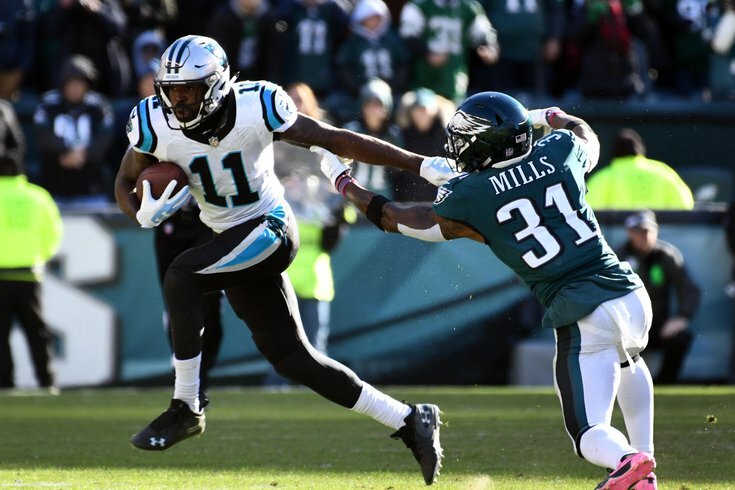 Philadelphia as a whole has given up a league-worst 1,410 yards to wide receivers and eight touchdowns, as compared to just two interceptions." #JimmySays: Wait. Is that bad? "If the Eagles were in just about any other division but the NFC East, they would not be in fine shape. Not at 3-4, with five of their nine remaining games on the road. Granted, one of those is in London against a reeling Jaguars team. Yet, there is no way Philadelphia, one year after winning the Super Bowl with its backup quarterback, should lose at home with a 17-0 lead and Carson Wentz under center. Even after Wentz was bailed out on that flutter ball Eric Reid intercepted in the red zone, the Eagles couldn't close the deal. A corner was NOT turned in New York, apparently." "The Eagles are not exactly resting on their laurels with Doug Pederson, but they’re not finishing games the way they relentlessly did all the way through Super Bowl 52 last season. That team is still in there somewhere." "I still think the Eagles will make a run, but they better not wait much longer. Put it this way: If the Eagles win six of their last nine, that puts them at just 9-7 and that’s no guarantee to qualify for the playoffs. Whatever ails them, they need to fix it very soon." #JimmySays: I actually do think 9-7 will win the Eagles the NFC East. Obviously their matchups against the Redskins would be key there. "It’s nearly halfway through the season and the defending champs continue to struggle along below .500. The offense has not exactly clicked with Carson Wentz back at QB. The Eagles remain a threat to pull things together and win the division. But it no longer can be assumed that they are a good team playing mediocre football." #JimmySays: It's kind of crazy to me that nobody has the Eagles lower than 14th.